Every successful business has a website. It is very easy to build a website. 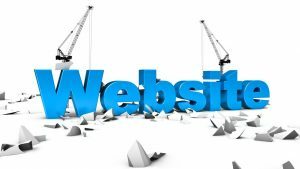 Let me show you have to build a website for your new business in under 20 minutes. SiteGround – This is the hosting service I recommend. I switched over to SG last year and their customer service and response times are FAR faster than their competitors. Screencast-O-Matic – I use SOM all the time. You can use the free version with a watermark for videos up to 15 minutes. Go to SiteGround and select web hosting, get started. Pick the plan that’s right for you, and click “Get Started.” The Start Up Plan is the most affordable, and should be a big enough plan to last you a long time. It is $4/month for your first sign up, and it renews at $12/month after that. Purchase Information – confirm the Plan is accurate. Location – enter your location. Period – Select the number of months you want to sign up for. One of the things I like about SiteGround is you can choose 12 months and get the lowest promo pricing. Other companies make you select 36 months to get the lowest pricing. Extra Services – you don’t need domain privacy or SG site scanner, but do your own research to see if you would prefer to have them. Payment Information – Your total order is listed here. If you signed up for. 12 months of the Get Started Plan and register a new domain, the total is under $65. If you purchased your domain through SiteGround skip to step 10. Enter the domain name without http:// and without www. Click on ‘WordPress Installer’ in the WordPress Tools section. Select the domain from the drop down, enter website name and tagline. Make sure WordPress Starter is selected. Choose the plug in options that work for your new site. From the dashboard you can create a page, a post, customize your site to reflect your new business. Next you can customize your new site.